Following on from attending the UN conference on Torture in the Context of Migration in Geneva, Room to Heal were contacted by the UN Fund for Victims of Torture to see whether we had the capacity to provide some training for the Prison Fellowship in The Gambia with respect to working with survivors of torture. With regime change and greater access to the prison system in The Gambia, it is apparent that many incarcerated had been tortured. This local NGO had little or no experience of working with survivors so wanted some training and support around how to provide rehabilitative support. Our director Mark Fish teamed up with his colleague Rim Ben-Ismail, Tunisian psychologist who had worked with Mark on delivering similar trainings in Tunisia. 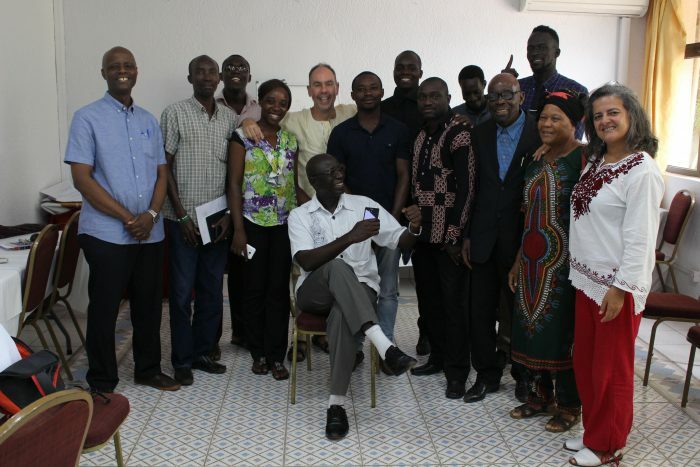 The training, which was wholly experiential, was attended by 15 people, comprising of members of the Prison Fellowship, social workers from a local NGO, social workers from the Ministry of Social Affairs and pastors from a sister agency in Guinea-Bissau. The experiential group training meant that participants could experience for themselves the efficacy of facilitating a safe and trusting environment wherein people are more able to articulate what’s in their hearts and minds. This experiential learning is different to when people are passive recipients of learning.